The College of Engineering, Trivandrum was established in 1939 as the first Engineering College in the then Travancore State. 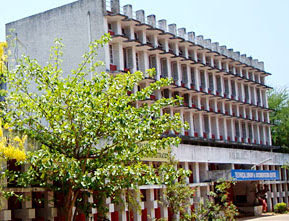 The various departments of the college include Department of Civil Engineering, Department of Mechanical Engineering, Department of Electrical Engineering, Department of Electronics and Communication Engineering, Department of Computer Science and Engineering and Department of Architecture. The facilities available in the college include a well occupied Library, Central Computer facility, Career guidance and placement unit, environment club, industry institution interaction cell, entreprenurship club, Kerala education grid project, National service scheme, Fitness centre, Diamond jubilee guest house. The college has both men's and women's hostels. The men's hostel has 230 rooms and can accommodate about 460 students. The ladies hostel has 115 rooms which can accommodate about 345 students.